After last year’s sell-out success, Windsor’s calamitous pantomime comic is back with a brand new cabaret show for 2019. This is Kevin's 10th year of cabaret in the Royal Borough and this time Kevin is parodying the world’s greatest movies in a musical spectacular featuring a cast of over 60 performers. From The Greatest Showman to Jaws, Rocky to Rocky Horror, Mamma Mia to Star Wars, you can expect a show like no other. 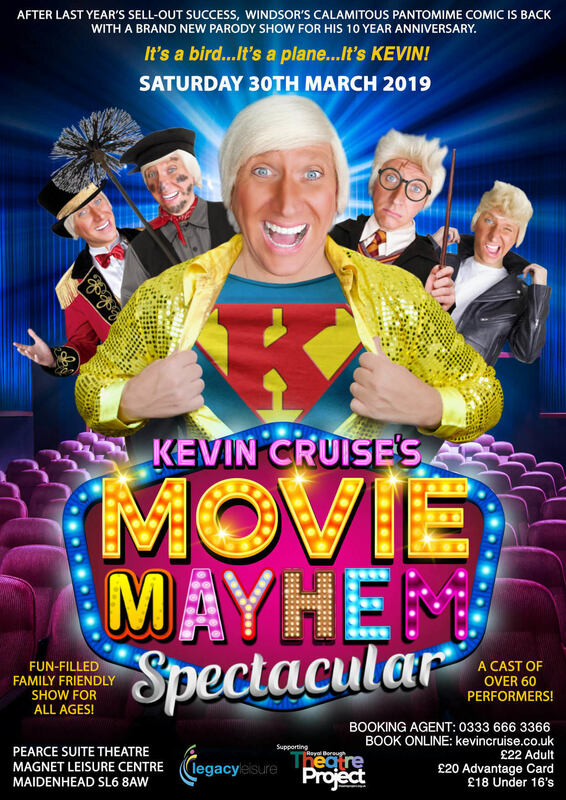 Featuring comedy sketches, musical numbers, film parodies and of course audience participation as only Kevin knows how.